Now you can get text extracted from any image like scanned document for free using a free web based service from Free-OCR . 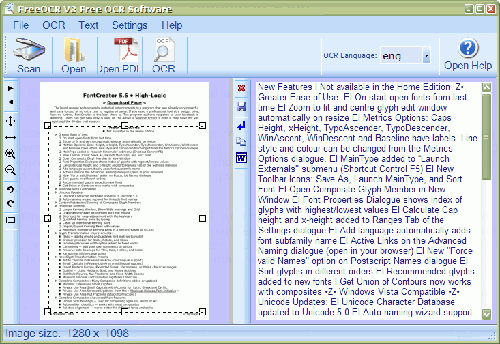 It is a great free online OCR (Optical Character Recognition) tool. You can use this service to extract text from any image you supply. Its absolutely free and even no registration is required. Just visit website and upload the image. It support PDF, JPG, GIF, TIFF or BMP image file format and maximum 2MB file size. Images must not be larger than 2MB, no wider or higher than 5000 pixels and there is a limit of 10 image uploads per hour. It support many languages like Bulgarian, Catalan, Czech, Danish, Dutch, English, Finnish, French, German, Greek, Hungarian, Indonesian, Italian, Latvian, Lithuanian, Norwegian, Polish, Portuguese, Romanian, Russian, Serbian, Slovak, Slovene, Spanish, Swedish, Tagalog, Turkish, Ukrainian, Vietnamese. I want to say “thank you very much” to developer for such a great web based freebie.